The best part of what we do is getting to work with unique customers with unique needs on a daily basis! 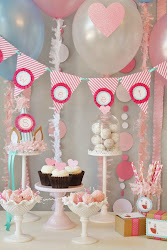 Although our shop is filled with invitations, cupcake toppers, gift tags, cards, cake toppers and garlands, there are a lot of unique items that we can create as well! We love when one of our customers comes up with the something that's not in our shop, that they want to add to their party goods. 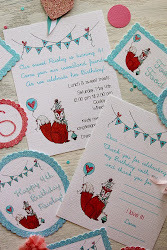 Recently, we created a full mermaid party for a customer and she wanted her young daughter to be able to write her own birthday thank you card to her friends! 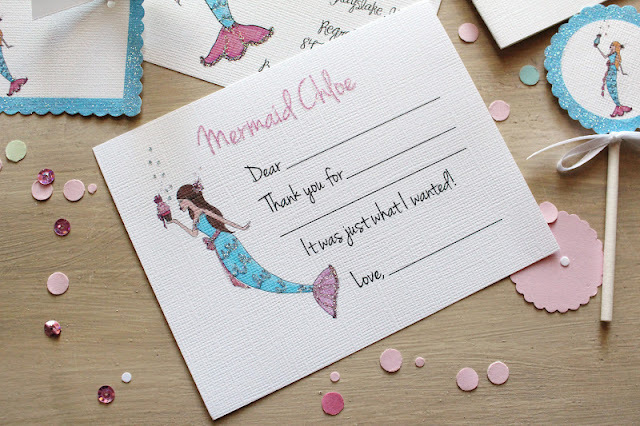 So we created fill in the blank note cards for her, with the coordinating mermaid illustration on them! We loved the idea so much, we decided to add them to our shop! So, we are now offering the 'fill in the blank' thank you note cards that can be customized with any one of our illustrations or a glittered monogram or name...you can find them here!